Kruithof transferred those pieces of paper across different surfaces and spaces in the form of minimal installations, photo sculptures, posters and collages. The artwork with the title 'Never ending pile of a past', which in its original condition consists of 10.000 colour copies, neatly stacked upon each other, which, in turn, depict a stack of photographic prints photographed from the side. 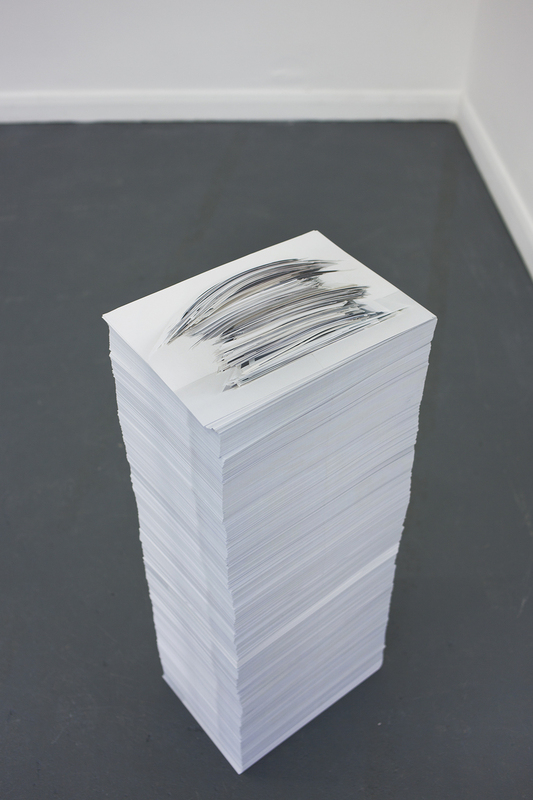 This piece, much like Kruithof's body of work as a whole, is deeply self-referential, ironic, even dryly humorous: a stack of copies depicting a photograph of a stack of photographs. With this work, Kruithof is allowing the viewer to become the collector and take a print away and challenges the notion of the photograph as unique and treasured artefact. With Fragmented Entity Kruithof continues to establish herself as a provocatrice who challenges the viewer, the medium photography, and even the very format in which photography is consumed. 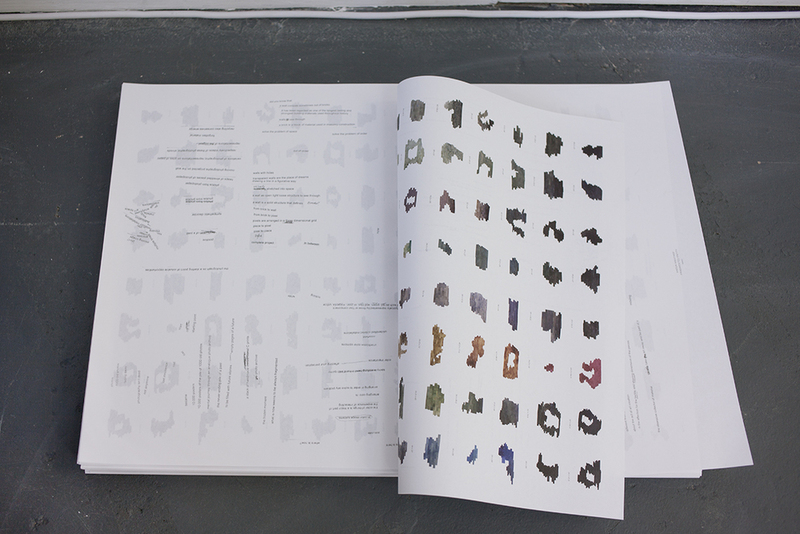 Fragmented Entity was shown as a solo show on Art Rotterdam in 2011 with galerie Adler, Frankfurt. In 2012 a soloshow in gallery Boetzelaer I Nispen in London took place including the new additional spatial installation 'Wall of fading memory'. The 2 video installations were shown in the groupshow Crossroads at KIT Dusseldorf. The source for this eclectic body of work is her archive of C type handmade prints that Kruithof has collected since she began working as a photo-artist. Between 2008 and 2011 she has been using these old photo prints by cutting out the narrative of the images and mostly dissected them into abstract pieces of coloured photo paper.